Whether you’re meeting with an advisor in college or attending a teacher conference in high school, here’s how to dress. Here’s a guide to dressing for another one of those tricky scenarios. Most of the time, teacher conferences are informal but you still are in a school setting so it’s important that you are still presentable. Whether you’re at the teacher conference or advisor meeting by yourself or if you are in high school and have your parent with you, appearance is extremely important. 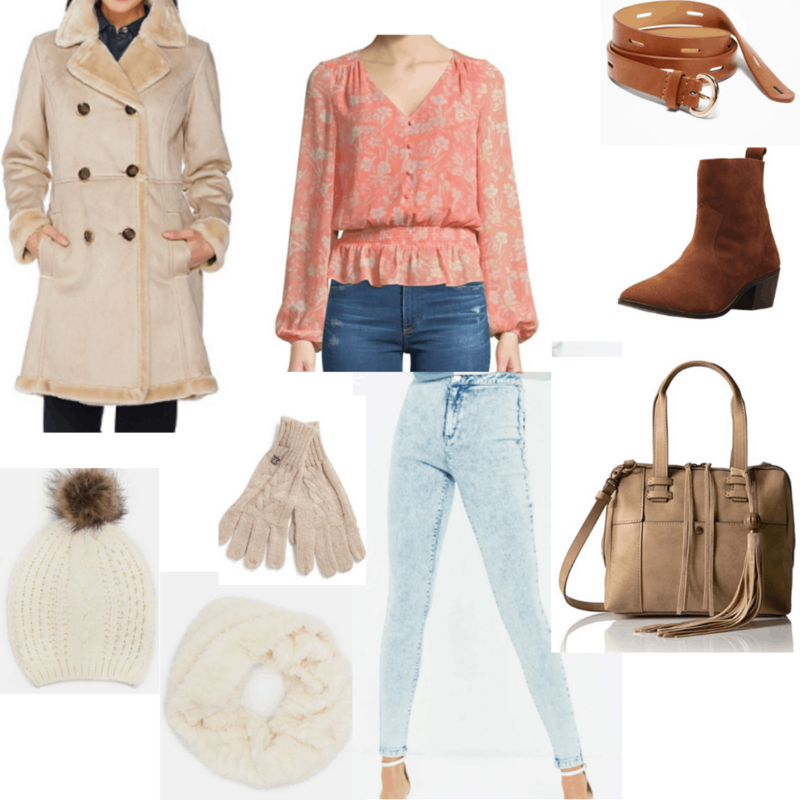 Products: High Waist Jeans – MissGuided, Puffy Sleeved Top – Lord and Taylor, Ankle Boots – Amazon, Belt – Old Navy, Winter Coat – QVC, Scarf – Ardene, Gloves – TJ Maxx, Beanie – Ardene, Purse – Amazon. 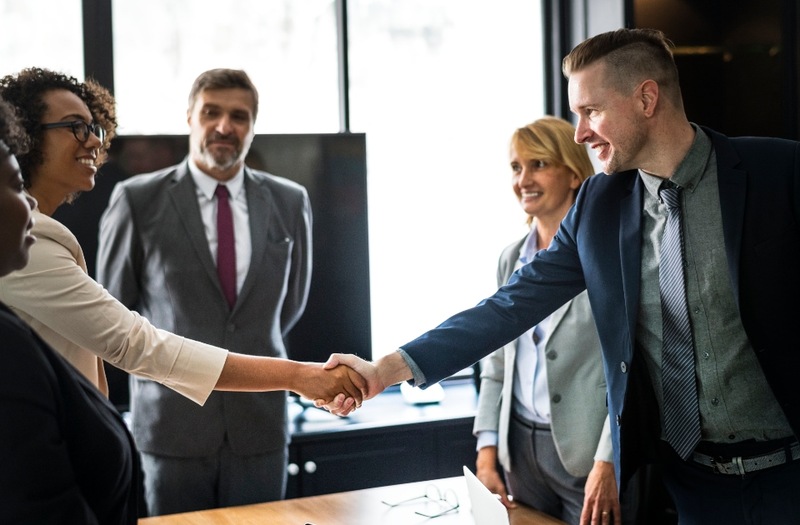 You don’t have to look professional for a teacher conference: this is an informal meeting most likely about your grades and how you are doing. But that doesn’t mean you should wear clothes that you normally wear to the gym or to the club, obviously. For this first outfit, I’ve styled a look around high waisted jeans. Because the meeting is informal, it’s important to feel and look relaxed. So jeans are a completely fine choice. Add a nice belt to accessorize more. Then, pair these jeans up with a trendy puffy sleeved top. Puffy sleeves were trendy all summer and they’re still a cute choice right now that’s a little unexpected. Because the temperatures are dropping with winter being only a couple weeks away, it is important to have a winter coat and to bundle up by accessorizing with a scarf, gloves and even a beanie. Of course, during the conference, you can remove these outer layers to stay comfortable. Now it’s time for the finishing touches. Classic ankle boots are always a good choice for informal settings like this where you still want to look polished. Then you just need a bag. Most of the time, at a teacher conference you shouldn’t need your backpack so a purse is a nicer, more polished choice. 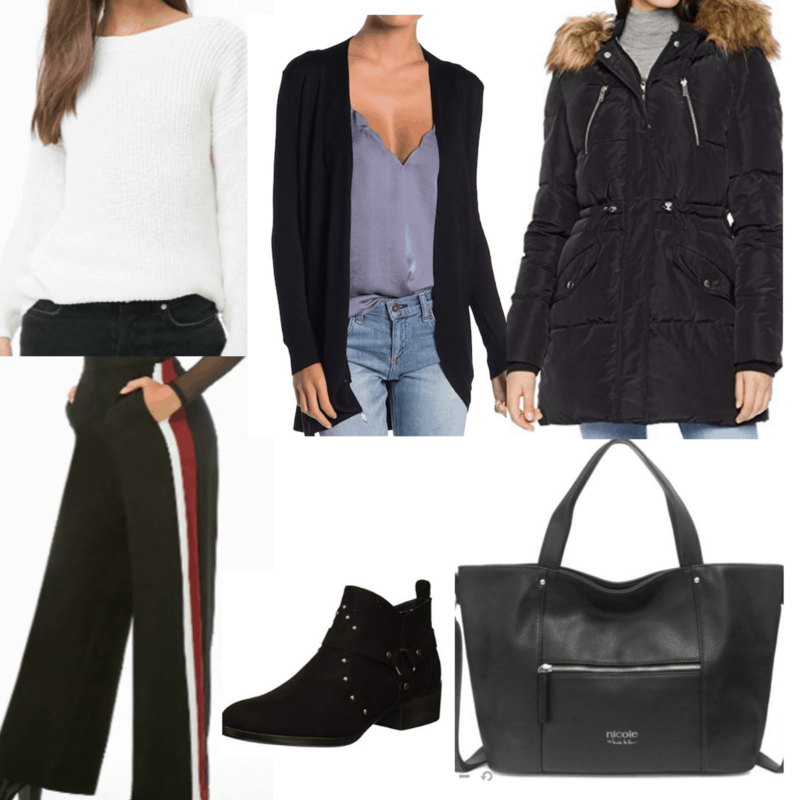 Products: Palazzo Pants – Forever 21, Sweater – Forever 21, Cardigan – Nordstrom Rack, Ankle Boots – Amazon, Winter Coat – Amazon, Satchel – JC Penney. If you’d rather go a bit more formal for your conference, swap your jeans for a pair of trousers. You definitely don’t have to wear dress pants or anything; I like something that’s a bit upgraded from a jean but still shows off your personality. In this outfit, palazzo pants are shown as they are comfortable, give you room to move, and they are acceptable and appropriate for the setting. To keep yourself warm but presentable, add a warm sweater on top. For extra warmth, you can pair this sweater up with an additional cardigan. As for shoes, again, some simple ankle boots are perfect with this outfit. And as with the first look, you don’t need a backpack so a cute tote will be perfect. Lastly, make sure you stay warm with a winter coat. Product: Turtleneck Sweater Dress – Amazon, Tights – ASOS, Over the Knee Boots – Amazon, Earrings – Asos, Necklace – Ardene, Winter Coat – Amazon, Backpack – Nordstrom. If you’re more of a dress person, good news: A dress is totally appropriate for a teacher conference or advisor meeting. I style this outfit around a thick turtleneck sweater dress that will keep you warm and cozy. Obviously, because we’re dressing for winter, you’ll want some tights on the bottom: 60 denier tights are perfect because they will keep you warm without being overly thick. Then add on-trend over-the-knee boots. Because you will be in school, it is important that you don’t go overboard on jewelry. Some stud earrings are classic and cool, and a simple necklace worn over your dress adds interest to the look. As I mentioned earlier, backpacks aren’t essential for conferences, but if you want to bring one, this neutral one is a perfect choice with the look. A winter coat is, again, the finishing touch. What do you wear to teacher conferences? Whether you’re attending your conference with a parent or you’re the student going in alone, teacher conferences aren’t too formal. You don’t have to be entirely dressed up but you do want to make a lasting impression and look presentable. Hopefully, these outfits give you an idea on how to dress for your next teacher conference. How do you dress for conferences like this? Do you have any tips? Tell us in the comments.